The Fluid Sealing Association’s mission is to be the most comprehensive informational and educational resource for maintenance managers in industrial plants around the world. 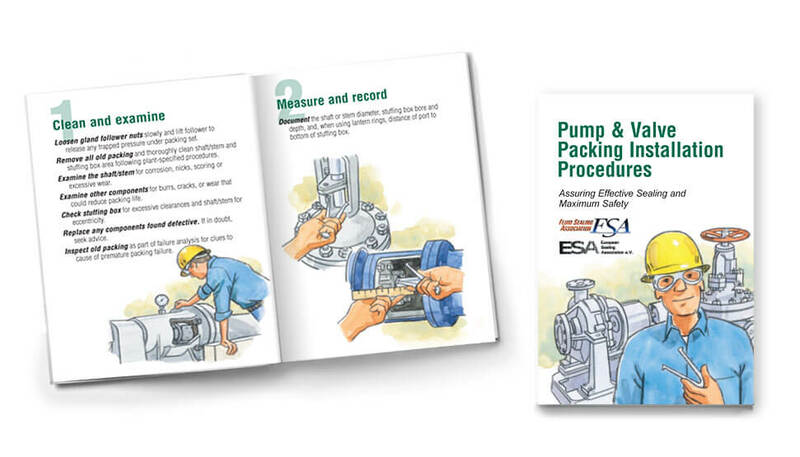 Since 2000, we’ve been called on by the FSA to design, produce and print 17 illustrated guides that provide instructions for installing gaskets, pump packing, and other fluid sealing components. 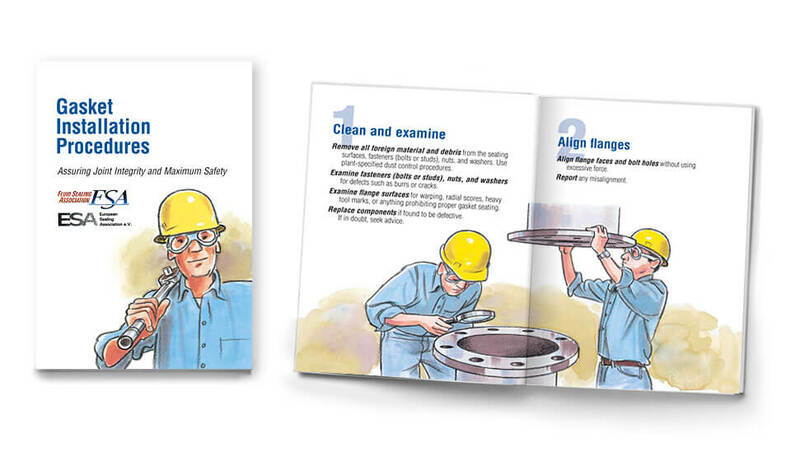 With their practical, step-by-step instructions, helpful illustrations and extra-durable construction, these pocket-sized booklets are ideal for use in the field. Since beginning our program, over 125,000 print marketing booklets – in eight languages (including Turkish!) – have been distributed by the FSA throughout the world.